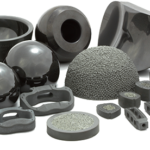 BALTIMORE, May 31, 2018 /PRNewswire/ — DT MedTech, LLC (DTM) announced today that the first Hintermann Series H2® Total Ankle Replacement Systems have successfully been implanted in patients in the United States. Surgeries were performed, implanting the two-component, semi-constrained total ankle replacement prostheses, at The Johns Hopkins Hospital in Baltimore, Maryland by Dr. James Ficke, Director of Orthopaedic Surgery and Orthopaedist-in-Chief, and at Lakewood Ranch Medical Center in Sarasota, Florida by Dr. James Cottom of Florida Orthopedic Foot and Ankle Center. The Hintermann Series H2® Total Ankle Replacement System is indicated to replace painful arthritic ankle joints due to primary osteoarthritis, post-traumatic osteoarthritis, or arthritis secondary to inflammatory disease (e.g., rheumatoid arthritis, hemochromatosis). The H2 may also be used as a revision for failed ankle replacements or non-union and mal-union of ankle arthrodesis. It is intended for cement use only in the US. DT MedTech, LLC is the parent company of DT MedTech International Limited and European Foot Platform, S.A.R.L. DTM and its subsidiary companies maintain offices in Baltimore, Maryland; Dublin, Ireland; Saint-Louis, France; and Liestal, Switzerland. As a member of the Data Trace family of businesses, leaders in scientific and medical publishing, surgical training, clinical trial management, medical malpractice insurance, and information services for more than 30 years, DTM provides innovative surgical solutions for lower extremity surgeons with state-of-the-art devices such as The Hintermann Series Total Ankle Replacement Systems. *Please note: Hintermann Series H3™ is not available for sale or distribution within the United States and its territories. CANTON, Mass. and BALTIMORE, May 31, 2018 /PRNewswire/ — New comparative effectiveness research from Organogenesis Inc. demonstrating faster time to healing and greater healing rates with Apligraf® for the treatment of venous leg ulcers (VLUs) was showcased last week at the International Society for Pharmacoeconomics and Outcomes Research (ISPOR) 2018 meeting held May 19-23, 2018 in Baltimore, Maryland. The research, “Comparative effectiveness of a bilayered living cellular construct and an acellular fetal bovine collagen dressing in the treatment of venous leg ulcers,” was e-published ahead of print in the peer-reviewed Journal of Comparative Effectiveness Research and showcased during a poster presentation at the meeting. The research was also among a select number of submissions to be considered for ISPOR’s Research Poster Awards. To view the published study online, please visit https://www.futuremedicine.com/doi/10.2217/cer-2018-0031. Using real-world data from the Net Health WoundExpert® database – the largest independent source of chronic wound benchmarking data in the industry – researchers compared clinical outcomes for the treatment of VLUs among two treatment modalities: Apligraf, a BLCC that is FDA-approved for the treatment of VLUs, and an acellular fetal bovine collagen dressing. The study found that VLUs treated with Apligraf experienced a 37 percent faster median time to wound closure and that treatment with Apligraf increased the probability of healing by 45 percent when compared to VLUs treated with the acellular fetal bovine collagen dressing. Chronic venous insufficiency affects approximately 2.5 million Americans, with up to 20 percent developing venous ulceration. Individuals who develop VLUs can often experience delayed healing and VLU recurrence. The impact on the patient’s quality of life and the economic cost of this disease can be significant; care for VLUs in the United States has been estimated to cost up to $3 billion annually1. The leading global professional society for health economics and outcomes research, ISPOR is an international, multidisciplinary society dedicated to advancing the policy, science and practice of pharmacoeconomics and health outcomes research. An unbiased organization comprised of more than 9,500 members from 114 countries, ISPOR and its membership represent the entire field including research, academia, decision and policymaking, payer and patient communities. 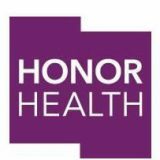 *De-identified patient data released to Organogenesis Inc. were consistent with the terms and conditions of Net Health’s client contracts and the requirements of the Health Insurance Portability and Accountability Act of 1996 (HIPAA). Net Health was not involved in the analysis, interpretation, or reporting of the data. 1 https://vascular.org/news-advocacy/venous-ulceration-minimally-invasive-treatment-big-problem, June 15, 2017 Dr. Paul DiMuzio – accessed on May 15, 2018. Schlieren (Zurich), Switzerland, May 31, 2018 – Kuros Biosciences (SIX: KURN) will propose the appointment of CEO Joost de Bruijn, as well as three new independent non-executive directors at its 2018 Annual General Meeting (AGM) on 14 June. Shareholder approval will be sought for the appointment of Joost de Bruijn, Chief Executive Officer of Kuros. Dr. de Bruijn has more than 28 years of experience in academia and the life science industry. He was the founder and CEO of Progentix Orthobiology and more recently of Xpand Biotechnology. He is Professor of Biomaterials at Queen Mary University of London, UK, and Professor of Regenerative Medicine and Entrepreneurship at Twente University, The Netherlands. Jason Hannon, Chief Executive Officer and Member of the Board of Directors of Mainstay Medical SA, is proposed to replace Didier Cowling, who will not stand for reelection. Mr. Hannon has extensive experience in the healthcare and medical devices industry, particularly related to commercialization of new products, penetration of new markets, product innovation, strategic and financial planning, raising capital, regulatory and clinical management, and the building of a high-performance culture. 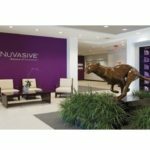 Mr. Hannon previously served as President and Chief Operating Officer of NuVasive (NASDAQ:NUVA), a medical device company focused on the spine market. Scott P. Bruder, MD, PhD, would replace Frank-Jan van der Velden who will not stand for reelection. 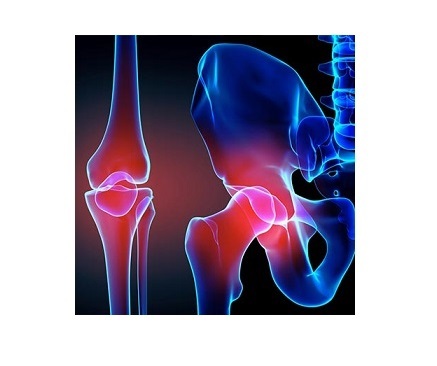 Dr. Bruder is an expert in orthobiology and is a seasoned senior executive with a track record spanning more than 25 years at industry leaders such as DePuy Biologics (now Depuy Synthes), Johnson & Johnson Regenerative Therapeutics, LLC, Becton, Dickinson and Company (now BD), and Stryker Corporation. Oliver Walker would replace Harry Welten who will not stand for reelection. Mr. Walker is a finance executive with more than 20 years of experience covering all aspects of finance including M&A, capital market transactions, treasury, reporting and fundraising. 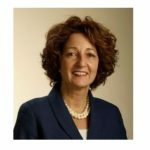 Has was CFO of a number of leading healthcare companies, such as Nobel Biocare, Sonova, and Stratec. Oliver has an MSC in Business Administration & Economics at the University of Berne. Furthermore, the Board of Directors proposes the re-election of Clemens van Blitterswijk as member, and the election as chairman of the Board of Directors and the re-election of Christian Itin, Leanna Caron, Giacomo Di Nepi and Gerhard Ries as members of the Board of Directors, each for the term until the next Annual Shareholders Meeting. BETHESDA, Md.–(BUSINESS WIRE)–Orthopaedic surgeon Craig Miller, M.D., is now using a new technology to offer patients guided personalized surgery for their total shoulder replacements. 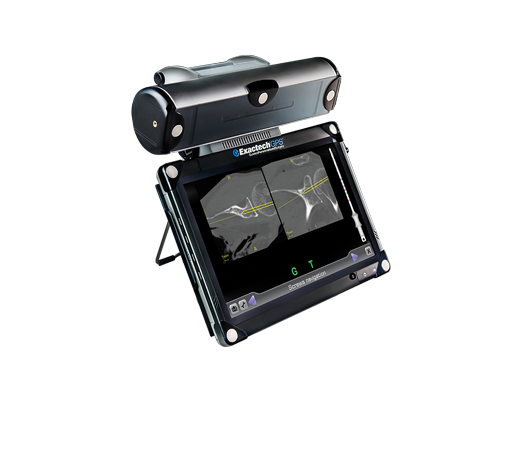 ExactechGPS® is the latest advancement in technology that provides surgeons with real-time visual guidance and alignment data in total shoulder surgery. Similar to a navigation device in your car, this advanced platform provides a visual map of the patient’s joint on a screen, allowing surgeons to combine preoperative planning with intraoperative computer-assisted technology, to perform implant alignment specific to the patient’s needs. “This cutting-edge technology allows me to virtually perform the patient’s surgery before going into the operating room,” said Dr. Craig Miller. The technology’s preoperative planning tool allows surgeons to plan their cases in advance of the surgery through a virtual simulation. Surgeons can then execute their plan in real time during the surgery based on a 3-D anatomical model of the patient’s shoulder, making adjustments as needed. ExactechGPS combines surgeon expertise with an advanced computer system to perform the patient’s shoulder surgery with a goal of improved accuracy and precision. Personalized for a patient’s unique bone structure and anatomy, ExactechGPS is designed to allow surgeons to decide where to remove bone and place the shoulder implant in the optimal position. Combined with the Equinoxe® Shoulder System which has demonstrated excellent biomechanics and outcomes in its more than 10 years of use1, surgeons are able to have the best of both worlds – a proven implant foundation1 with today’s most modern surgical technologies. For more information about ExactechGPS or to schedule an appointment with Dr. Miller, call (301) 530-1010 or visit www.sportsdocmiller.com. 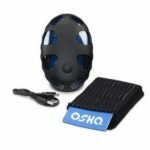 Additional information about the technology can be found at www.ExactechGPS.com. 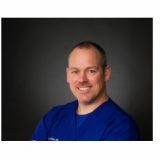 Dr. Miller completed advanced fellowship training in sports medicine at the Kerlan Jobe Orthopaedic Clinic in Los Angeles, CA where he cared for all major sports teams. His areas of expertise include sports medicine, arthroscopic surgery of the shoulder and shoulder replacement surgery. Dr. Miller adds his ability to perform the first ExactechGPS guided total shoulder replacements in the Washington D.C. area, to numerous first time cutting edge and complex shoulder surgeries in the area. A graduate of Tufts University and George Washington Medical School, Dr. Miller completed his orthopaedic surgery residency at the Hospital for Joint Diseases Orthopaedic Institute / New York University in New York. From 2008-2016, Dr. Miller was an assistant team physician for the Washington Nationals. 1. Data on file at Exactech, Inc.
LimaCorporate is proud to announce that the Revision Stem has achieved 20 years of clinical heritage in the Orthopaedic market. This anniversary consolidates LimaCorporate’s strong position in the Revision hip replacement market, also thanks to the combination with the Delta-One TT and Delta-Revision TT, the first 3D Printed Revision cups featuring LimaCorporate’s proprietary Trabecular Titanium technology. 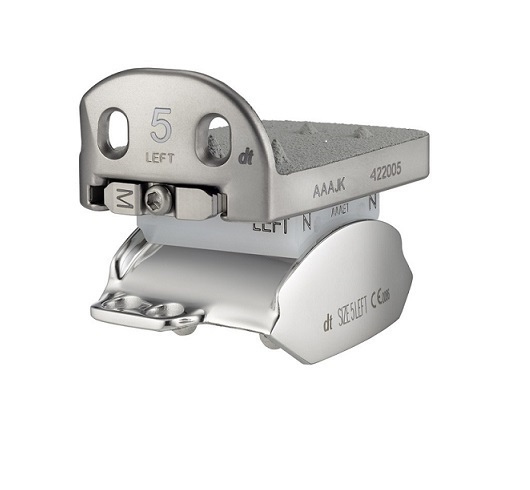 The only technology that boosts over 10 years of clinical heritage in Orthopaedics. The Revision Stem allows Orthopaedic surgeons to separate the fixation aspect from biomechanics to provide an ideal stem option for a complex Revision situation. The conical stem design with longitudinal fins is designed to achieve a stable stem fixation, followed by the proper placement of the head with the different proximal body options, enhancing a real intraoperative flexibility. 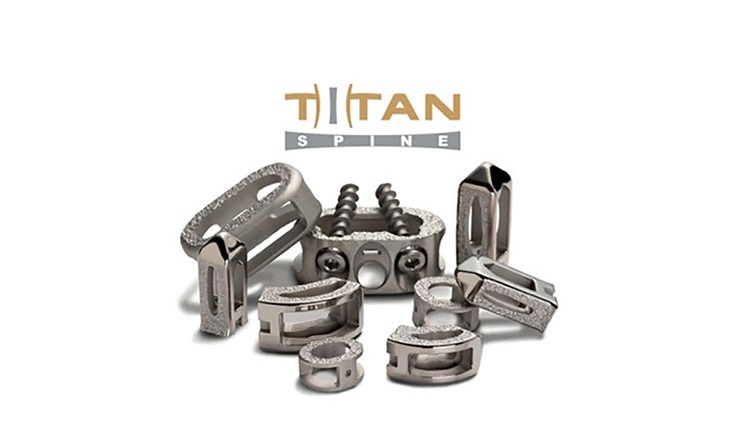 The Delta-One TT and Delta-Revision TT acetabular cups apply the same philosophy even to the acetabular side, thanks to the versatility in reconstructing the biomechanics offered by the spacer system, combined with the Trabecular Titanium proven reliability for the implant primary and secondary fixation. “I started using the Revision Stem due to its simplicity in use and design inspired by the Wagner philosophy, in which a stable implant fixation is achieved through the conical stem profile with finned section. The Revision Stem combines this design with the advantages of the modularity and the wide availability of proximal bodies offered with different heights; its simplicity arises from the combination of different heights of the bodies of the neck with the stem offered with two lengths, allowing to solve the majority of Revision cases, in combination with Delta-One TT and Delta-Revision TT cups”, said Prof. Francesco Benazzo, Fondazione IRCCS Policlinico San Matteo, Pavia, Italy. The Revision Stem was fully introduced into the market in 1998, and its design is based on the experience gained by LimaCorporate with the LCR stem, released in 1982. Available in more than 40 countries, the Revision Stem, during these 20 years, continues to represent a valid and solid option for many surgeons dealing with complex Revision surgeries who look for a reliable Revision Stem, supported by several papers published with long term follow-up. The Revision Stem has been used in more than 25,000 surgeries to date. Most recently, LimaCorporate introduced the Revision Stem odd sizes, enlarging applicability criteria, and improved the Instrument Set layout reflecting the company’s ongoing commitment to deliver innovative, powerful, and robust solutions to Orthopaedic surgeons. “The excellence of the Italian innovation and technology, combined with the great contribution coming from Orthopaedic surgeons are summarized in our Hip Revision portfolio. LimaCorporate is reconfirming its role in the Orthopaedic market with a special passion for complex cases, becoming the preferred choice for the experts in this field as our 3D Printed technology allows surgeons to address their patients’ needs with a new outlook, including that of custom devices from our ProMade division,” said Luigi Ferrari, CEO of LimaCorporate. For additional information on the Company, please visit: https://limacorporate.com/ . CARLSBAD, Calif., May 30, 2018 (GLOBE NEWSWIRE) — International Stem Cell Corporation (OTCQB:ISCO) (www.internationalstemcell.com) (“ISCO” or “the Company”), a California-based clinical stage biotechnology company developing novel stem cell-based therapies and biomedical products, announced today that a paper prepared by the Company has been published in Volume 12, Issue 5 of the Journal of Tissue Engineering and Regenerative Medicine, a prestigious peer-reviewed scientific journal. Due to its scientific relevance, the article has been featured on the cover of the journal’s May 2018 issue. The article, entitled “Supplementation of Specific Carbohydrates Results in Enhanced Deposition of Chondrogenic-Specific Matrix during Mesenchymal Stem Cell Differentiation,” discusses a new scalable system developed by ISCO that permits the generation of functional human cartilage tissue derived from the patient’s own skin or fat tissue. This process has the capacity to provide greater stability than other tissue that is currently available for the treatment of osteoarthritis, the most common chronic joint condition. Using this new system, ISCO scientists generated a healthy cartilage‐specific matrix from human mesenchymal stem cells that had significantly higher viability and cartilage specific properties, including: proteoglycan, aggrecan, hyaluronic acid, and collagen II deposition and glycosaminoglycan production. This new cartilage-specific matrix was built in 3D format and is ready for further therapeutic development. “While the treatment of Parkinson’s disease has always been at the forefront of our research efforts, we are also pursuing various other therapeutic indications. In one of those other areas,our R&D Team has significantly improved the process by which we can use the patient’s own mesenchymal stem cells to potentially treat osteoarthritis,” commented Russell Kern, PhD, ISCO’s Executive Vice President and Chief Scientific Officer. “We are also thrilled to announce that this research gives us a basis to launch program to develop supplements designed to potentially reduce joint pain and improve overall mobility,” he continued. According to the Centers for Disease Control and Prevention (CDC), osteoarthritis is the most common form of degenerative joint disease and affects as many as 27 million Americans. Characterized by progressive erosion of the articular cartilage, osteoarthritis can damage any joint in the body—most commonly in the hands, knees, hips, and spine. The erosion of articular cartilage leads to joint pain, stiffness, and impaired mobility. Healthy cartilage permits bones to glide over one another. It also absorbs energy from the initial burst of physical movement. In osteoarthritis, the surface layer of cartilage collapses and wears away. This allows bones under the cartilage to rub against one another, causing pain, swelling, and loss of motion of the joint. 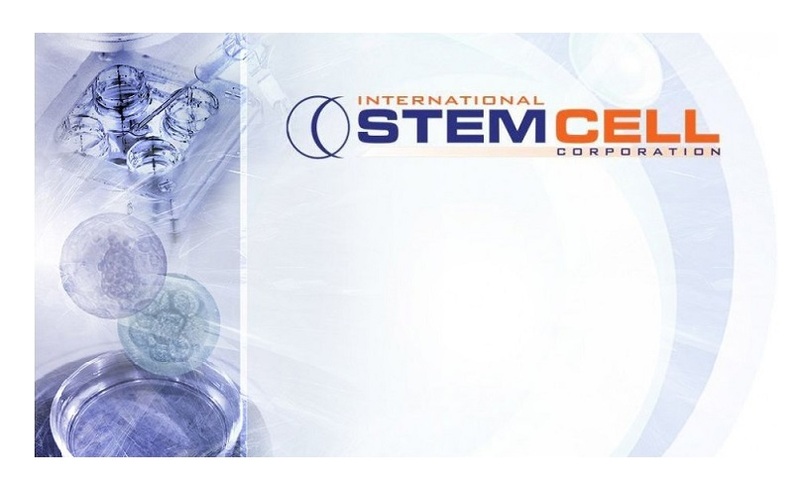 International Stem Cell Corporation (ISCO) is focused on the therapeutic applications of human parthenogenetic stem cells (hpSCs) and the development and commercialization of cell-based research and cosmetic products. ISCO’s core technology, parthenogenesis, results in the creation of pluripotent human stem cells from unfertilized oocytes (eggs). hpSCs avoid ethical issues associated with the use or destruction of viable human embryos. ISCO scientists have created the first parthenogenetic, homozygous stem cell line that can be a source of therapeutic cells for hundreds of millions of individuals of differing genders, ages and racial background with minimal immune rejection after transplantation. hpSCs offer the potential to create the first true stem cell bank, UniStemCell™. ISCO also produces and markets specialized cells and growth media for therapeutic research worldwide through its subsidiary Lifeline Cell Technology (www.lifelinecelltech.com),and stem cell-based skin care products through its subsidiary Lifeline Skin Care (www.lifelineskincare.com). More information is available at www.internationalstemcell.com. Statements pertaining to anticipated developments, potential clinical studies , progress of research and development, and other opportunities for the company and its subsidiaries, along with other statements about the future expectations, beliefs, goals, plans, or prospects expressed by management constitute forward-looking statements. Any statements that are not historical fact (including, but not limited to statements that contain words such as “will,” “believes,” “plans,” “anticipates,” “expects,” “estimates,”) should also be considered to be forward-looking statements. Forward-looking statements involve risks and uncertainties, including, without limitation, risks inherent in the development and/or commercialization of potential products, regulatory approvals, need and ability to obtain future capital, application of capital resources among competing uses, and maintenance of intellectual property rights. Actual results may differ materially from the results anticipated in these forward-looking statements and as such should be evaluated together with the many uncertainties that affect the company’s business, particularly those mentioned in the cautionary statements found in the company’s Securities and Exchange Commission filings. The company disclaims any intent or obligation to update forward-looking statements. 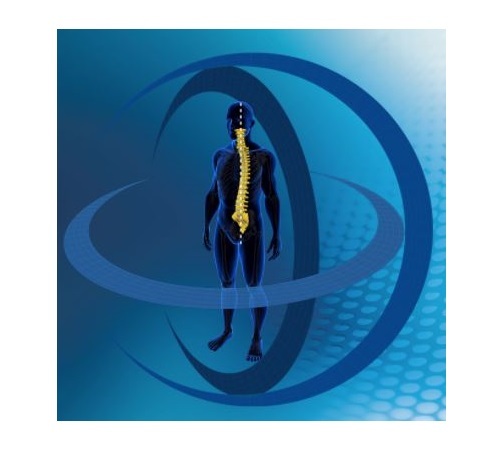 LEESBURG, Va., May 30, 2018 (GLOBE NEWSWIRE) — K2M Group Holdings, Inc. (NASDAQ:KTWO) (the “Company” or “K2M”), a global leader of complex spine and minimally invasive solutions focused on achieving three-dimensional Total Body Balance™, today announced U.S. Food and Drug Administration (FDA) 510(k) clearance for BACS® Patient-Specific devices. With the BACS Surgical Planner, surgeons can create pre-contoured rods, rails, and templates that match the surgeon’s preoperative plan. This is K2M’s fifth module within the BACS platform, and its first clearance for patient-specific devices. K2M manufactures BACS Patient-Specific Rods and Rails using a machine rolling method, replacing the manual three-point bending method that often reduces rod fatigue strength. By incorporating data from BACS Surgical Planner, rods and rails can be manufactured with complex multi-contoured designs. BACS Patient-Specific Rods and Rails can be used with the MESA®, EVEREST®, and DENALI®Spinal Systems. K2M’s BACS Surgical Planner provides surgeons with a comprehensive tool to preoperatively measure and record a patient’s skeletal parameters to obtain baseline measurements that aid in the creation of BACS Patient-Specific Rods. BACS Surgical Planner is part of K2M’s Balance ACS® (or BACS) platform, which provides solutions focused on achieving balance of the spine by addressing each anatomical vertebral segment with a 360-degree approach in the axial, coronal, and sagittal planes, emphasizing Total Body Balance as an important component of surgical success. For more information about K2M’s complete product portfolio, visit www.K2M.com. For more information on Balance ACS, visit www.BACS.com. ATLANTA, May 25, 2018 /PRNewswire/ — OrthoAtlanta orthopedic surgeons Michael J. Behr, M.D., and Peter J. Symbas, M.D., are two sports medicine physicians who have dedicated their careers to serving others, treating Atlanta-area patients with the most complex sports injuries, including those in need of total joint repair and joint replacement surgeries. These dedicated medical professionals are also known for generous donation of their time and talents to those in need in some of the most impoverished parts of the world. 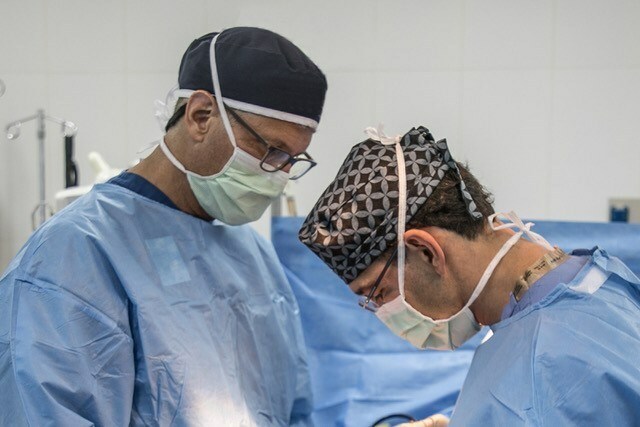 Dr. Behr and Dr. Symbas recently returned from a week-long medical mission trip in Honduras where their total joint replacement expertise contributed to a first-of-its-kind orthopedic surgical effort at Holy Family Surgery Center in May 2018. As part of a brigade of 37 volunteer medical professionals specially trained in orthopedic surgery and surgical support, the Georgia-based team, including five orthopedic surgeons, surgical nurses and medical specialists, completed thirty-seven (37) total knee replacement surgeries in three days. 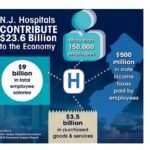 This number was nearly one-third the total number of knee replacements performed the previous year throughout the entire country. The remarkable Atlanta-based team traveled to Honduras as part of One World Surgery, a non-profit organization that founded and runs Holy Family Surgery Center in Honduras. Approximately one hour northeast of Tegucigalpa, the capital of Honduras, the surgery center is located on the property of Nuestros Pequeños Hermanos (NPH), a 2,000-acre ranch that serves as a loving home for some 500 orphaned, abandoned and disadvantaged children in Honduras. Providing educational and technical training for the youth, it’s a testament to the organization’s mission of sustainability and giving back that nearly half of the surgery center staff were NPH residents at one time. Surgeries at the center are needs-based and provided to pre-qualified patients of all ages. Supplementing the services of this surgery center, One World Surgery coordinates brigades of volunteer medical experts for week-long service. Prior brigades have included heart surgery, OB/GYN and ophthalmology. Although orthopedic specialists have served the organization in the past, the Atlanta-based team, who have coined the name OneJoint, enabled the first-ever focused effort on total knee replacement specifically. Preparation for the Georgia-based orthopedics team endeavor was many months in the planning. Crosslink Orthopedics, a local medical equipment supply company based in Norcross, Georgia, donated all the medical hardware for the joint replacements. Thomas Fleetwood from Crosslink reached out to orthopedic surgeons from several of Georgia’s leading orthopedic and sports medicine practices, including Dr. Symbas and Dr. Behr of OrthoAtlanta. Additional team members included skilled OR and post-operative nurses and medical technicians bringing the entire operating brigade to 37 people. The trip was entirely self-funded, from initial registration fees and flights to extra baggage fees needed for some 20 crates of equipment and supplies. A practicing orthopedic surgeon with OrthoAtlanta for over 25 years, Michael J. Behr, M.D., has served on other medical mission trips in the past, including an Atlanta-based orthopedic group serving the country of Haiti. Dr. Behr’s first trip to Haiti was in 2010, the year of the deadly earthquake that killed thousands of people and left so much of the island in ruins. Inspired by the people of Haiti and the medical needs that continue today, Dr. Behr recently completed his ninth trip to Haiti in February 2018. Peter J. Symbas, M.D., an OrthoAtlanta orthopedic surgeon with subspecialty certification in sports medicine, has also served on other medical mission trips, including a trip to Haiti in 2017. When asked why he goes on mission trips, Dr. Symbas commented, “I get so much more out of these trips than even the many people whose lives we touch. Nothing is more rewarding than the smiles we receive in return.” Dr. Symbas, who sees patients at OrthoAtlanta offices including Piedmont West, Kennesaw and Marietta, also serves as the chief medical officer for Atlanta United FC, Atlanta’sprofessional soccer team and is the chief of orthopedics for the Piedmont Clinic for Piedmont Healthcare. OrthoAtlanta is one of the largest physician-owned orthopedic and sports medicine practices in the greater Atlanta, Georgia, area providing an integrated approach to delivering musculoskeletal care. With 38 physicians serving in 14 offices, the practice provides the highest level of patient care for injury or deformity of muscles, joints, bones and spine. OrthoAtlanta offers convenient accessibility to a full range of musculoskeletal surgeons, specialists and patient services including on-site physical therapy, pain management care, seven MRI imaging centers and workers’ compensation coordination. OrthoAtlanta Surgery Centers in Austell and Fayetteville provide cost-effective, same-day surgical procedures in an accredited outpatient center. Comprehensive operative and non-operative musculoskeletal care and expertise includes sports medicine, arthroscopic surgery, hip replacement, knee replacement, neck and spine surgery, elbow and shoulder surgery, hand and wrist surgery, foot and ankle surgery, physical medicine and rehabilitation, arthritis treatment, general orthopedics, work-related injuries and acute orthopedic urgent care.